The Egyptian Parliament has approved the appointment of Dr.Rania Al-Mashat as the country’s new Minister of Tourism, making her the first woman to hold the position and one of six women to currently occupy ministerial roles – the nation’s highest proportion ever. Replacing Yahya Rashid, who took over the post from Hisham Zaazou in March 2016, the changeover is a result of a cabinet reshuffle, in which four ministerial posts have been filled with new faces. Al-Mashat brings a wealth of economic and political experience to the role, having previously served as a senior economic adviser to the International Monetary Fund (IMF) and as the Deputy Governor of the Central Bank of Egypt. She was the youngest person ever to hold such a position in both organisations. 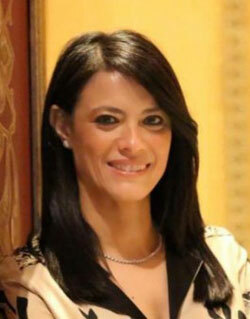 She is credited with making a significant contribution to modernising Egypt’s monetary policy, particularly during the governmental reform programme post-2011. Al-Mashat attained a BA in Economics from the American University in Cairo in 1995 and a Master of Economics from the University of Maryland-College Park in the US in 1998. She then obtained a PhD in Economics from the same university in 2001. In line with Egypt’s new campaign for 2018, the new minister is expected to capitalise on renewed and growing interest in the destination by implementing a coherent strategy of policy-making. She will manage cooperation with investors, placing a focus on marketing, as well as the training and development of employees in the tourism sector. According to insiders, the first appointments with investors have already taken place, with all involved parties very satisfied with the opening discussions.